Product prices and availability are accurate as of 2019-04-22 05:10:27 UTC and are subject to change. Any price and availability information displayed on http://www.amazon.com/ at the time of purchase will apply to the purchase of this product. 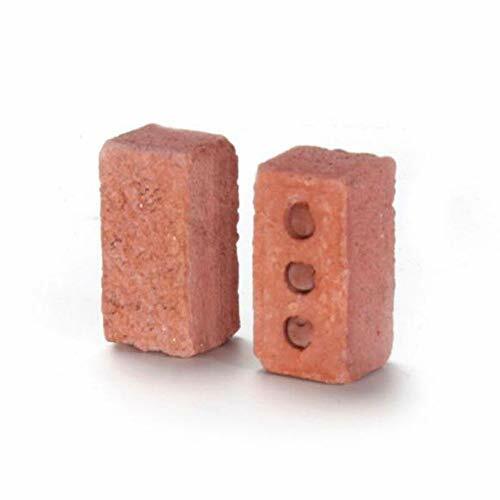 Model Cars is happy to offer this Harpi Educational Toy Model Set - New 32Pcs Mini Cement Bricks Model Toys Build Your Own Tiny Wall for Kids Adults Home Decorations by Harpi. 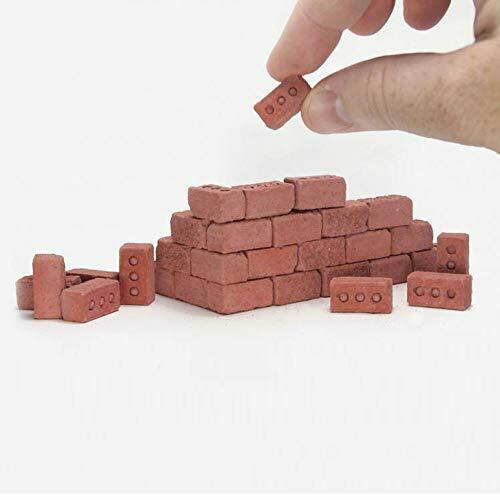 Buy this awesome Harpi Educational Toy Model Set - New 32Pcs Mini Cement Bricks Model Toys Build Your Own Tiny Wall for Kids Adults Home Decorations made by Harpi and carried by ModelCars.us. This detailed kit is currently in stock - buy securely and safely on modelcars today. ---Any questions please contact us directly, we will serve you within 24h! ---Hope you have a good time on shopping! Quality store for you service! 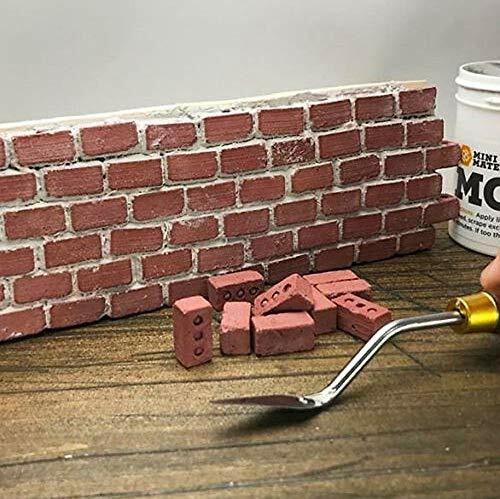 ?Mini Model Wall Tile?The mini bricks are made from a Resin mixture (with red dye for the red bricks)The bricks are perfect for a desk toy, fun stacking toy, or a way to build a mini wall, planter, pen holder, key-chain, and more. 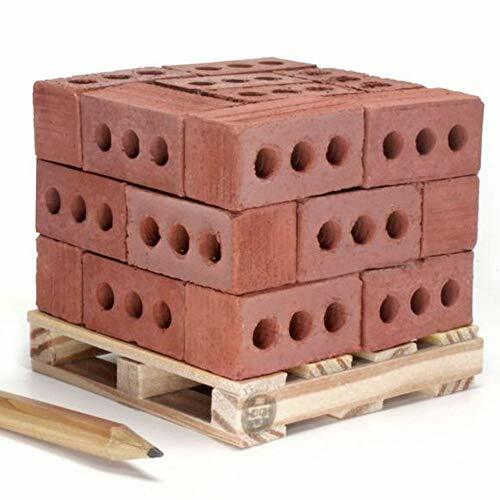 ?Composition?The mini cinder blocks comes in a set of 32 bricks, and even come atop a tiny little wooden pallet where the bricks are stacked up and ready to go just like you'd find in the real world! 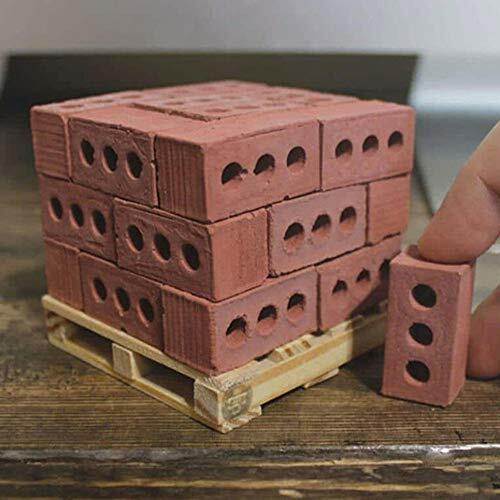 ?More Than Just Toys?The tiny bricks come in either grey or red colors to choose from, and you'll also need to get a miniature container of mortar for you to easily stick the bricks together to get your wall started,neither of the bricks come with a container of mortar.Also, the red bricks are 1:6 scale of actual red bricks, and the grey bricks are 1:12 scale size of an actual cinder block. 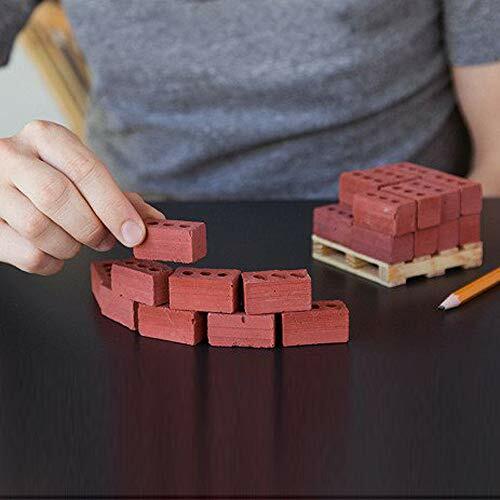 ?Building Molding?Just building walls, you'll most likely enjoy these tiny bricks that let you build your very own miniature wall.Once you're done with the bricks and assembled your mini wall, you can use the tiny wooden pallet that the bricks came on as a coaster, or just a funny little piece of decor around your house. ?After-sales Service?Harpi provides perfect after-sales service, support for return within 1 months(Quality issues), please contact us directly for any questions, we will serve you within 24 hours.